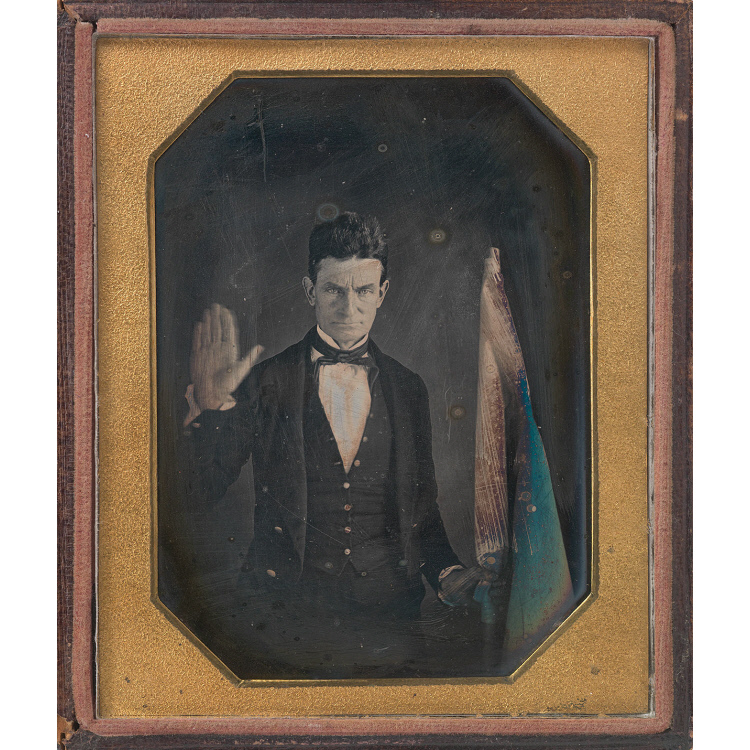 The earliest known likeness of radical abolitionist John Brown, this portrait was made by pioneering African American daguerreotypist and fellow abolitionist Augustus Washington. In a pose that dramatizes his antislavery activism, Brown stands with one hand raised as if repeating his public pledge to dedicate his life to the destruction of slavery. With his other hand, he grasps what is believed to be the standard of his "Subterranean Pass Way"-the militant alternative to the Underground Railroad that Brown sought to establish in the Allegheny Mountains more than a decade before his ill-fated raid on the arsenal at Harpers Ferry.